I don't know if you could actually **** off that much money. I guess a giant yacht, private jet, and multiple fancy houses, but damn. I suspect by the time Tuesday gets here the cash option will be over 1 billion. If it rolls again you might win enough to be a billionaire after taxes, unless you live in a high tax state. Worth playing to dream for a few hours. Where are are all these credible psychics?! I need numbers. 39 tickets!!! Haven’t checked yet, but wondering if I am eating Top Ramen next week to stay in my cash budget! That's a fuckton of money. May invest another $10, for ***** and giggles. I would buy a 2 seat FA-18 Hornet and give it 94LT1. He can take me for rides. I'm really surprised no one hit it. So many people buying. At this point it's very likely to be a shared jackpot. Someone or a few people will win.....might as well be in the mix. I bought a ticket for $2 this morning. This thing is going to hit $2 Billion by Tuesday. You'd net a little less than $700 Million after the lump sum penalty and taxes. I'd give away half immediately, probably 99% to charities and then giving a million bucks or to every family member and close friend. Actually I'd probably do around ~1.7 Million each so they'd all net ~1 million after taxes. I'd invest the other half of the winnings conservatively, mostly in Vanguard Total U.S. Stock Fund and the Wellesley Income Fund, with a sprinkle of the small cap and international funds, and maybe 10% overall for individual stock picking, and become an actual billionaire in 10-20 years depending on annual market returns, depth of future recessions/corrections/bear markets, etc. 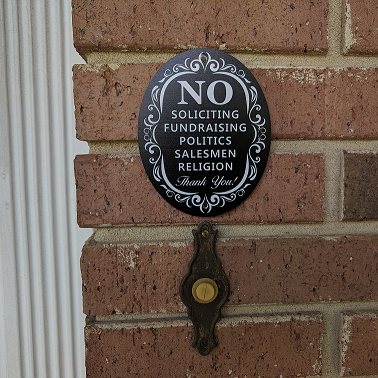 I would buy myself a much larger no soliciting sign to replace our current one. With those kind of winnings you should hire an armed guard.